Introduction to Mercure Hideaway Bailan Beach, good value 3 star resort hotel on Koh Chang. Information, guide prices, reviews, booking, room availability. 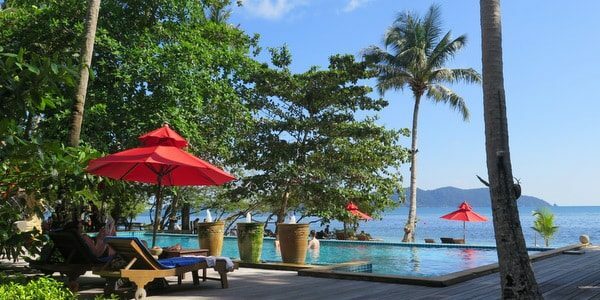 Our Introduction to The Emerald Cove Koh Chang on Klong Prao Beach on the west coast. Information on the hotel, room types, links to reviews, chance to search for a room, guide prices.